We always end up with paint chips in our grocery bags anytime we go to Wal Mart or our local home improvement store. Yesterday we came up with a simple way to use our stash of paint chips to talk about the rhyme, "April Showers Bring May Flowers". 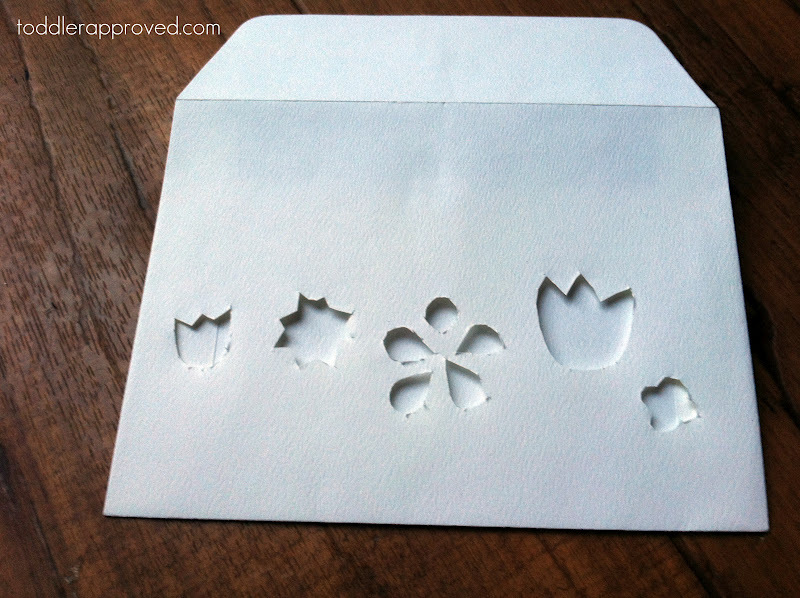 Cut simple flower shapes out of front side of envelope. We added stems to our flowers and rain, but it will work fine without. Place various paint chips in envelope to add "color to the flowers" or "change color" of flowers. 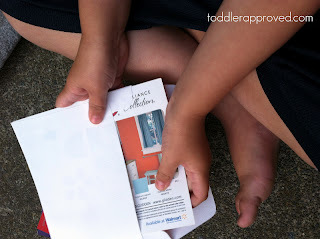 My 3 year old loved putting and pulling paint chips in and out of envelopes (excellent motor control practice ). 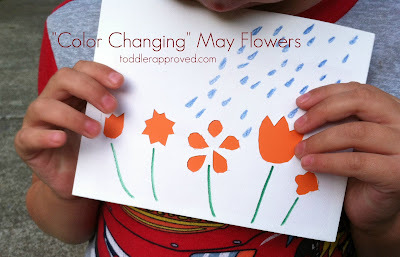 We would take turns picking and guessing what color our May flowers would end up, and added to the rhyme, "April showers bring May flowers . . . what color flower will come after the shower?". This was such a spontaneous and simple activity, yet the kids loved it and continued playing with it throughout the evening. 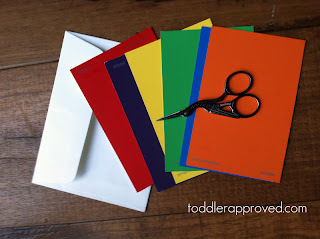 What creative ways have you incorporated paint chips into learning and fun? How cute! Love how you can change the colours! Wonderful idea! Thanks for sharing on Kids Get Crafty!! I love how such simple things can turn in to fun activities. As Maggy said- thanks for linking to Kids Get Crafty! Your home is lovely and I got a lot of inspiration from your tour. Thank you for putting this work.